Bitter melon - bitter gourd - karela.. no matter what you call it, it is delicious pan-fried and filled with curried shrimp! 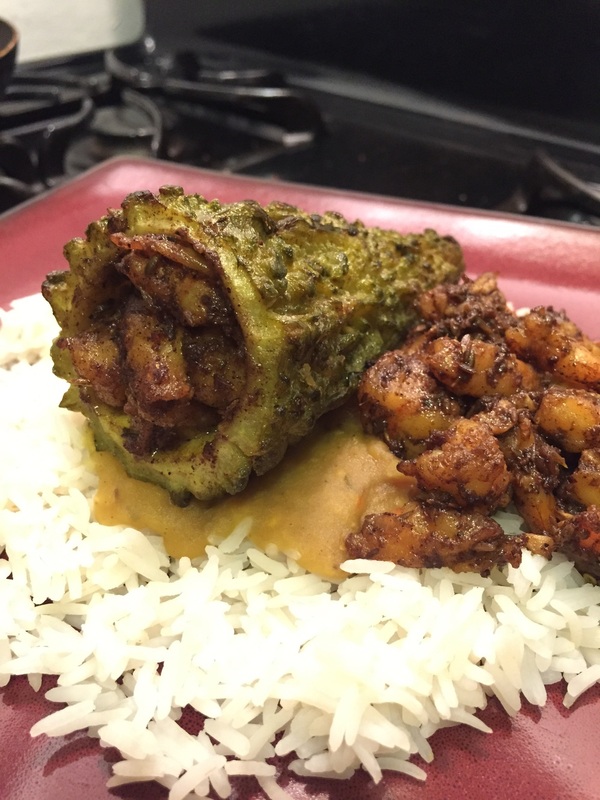 Try this fantastic Guyanese dish for dinner tonight! Set a pot of 3 cups water + 1 teaspoon salt to boil. Cut off the ends of the karela (bitter melon) so the tips and stem are off but the end is not open (you need it closed so you can stuff it later). Put the karela to boil in the pot for 15 mins, turning it every so often so it boils on all sides. In a frying pan, heat the vegetable oil to medium heat and add chopped garlic and onion until golden brown. Next, add the shrimp to the pan - and the remaining teaspoon of salt, curry powder, ground geera, garam masala, and coriander. 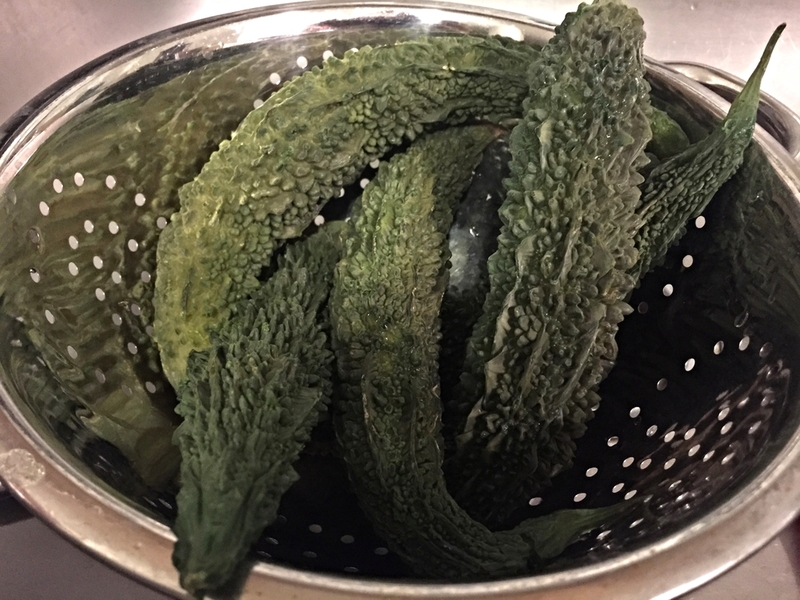 By now the karela should be ready for straining. Strain and wash with cold water so it cools off soon. Fry the shrimp in the curry mixture until cooked through - then move it to another bowl. When the karela is cooled enough to handle without burning yourself, cut both of them in half. Scoop out the seeds with a spoon so you have 4 hollow pieces. Fill about 2-3 spoonfuls of the shrimp mixture inside each karela. Press it in with the back of your spoon so it's tightly packed. Turn the stove back on with the same pan that you fried your shrimp in, let it get to medium heat. Add each piece of stuffed karela to the pan and pan-sear on all sides so that the outer edge of the karela is browned. Serve over a plate of homemade rice and dhal (as pictured) - enjoy!